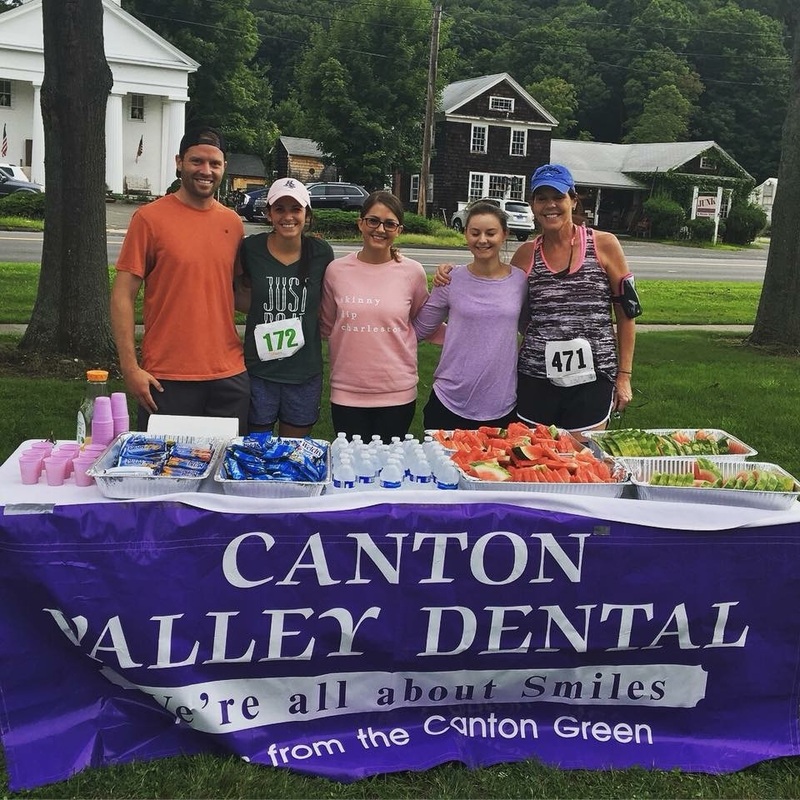 At Canton Valley Dental, we believe in creating a relationship with our patients that goes beyond the office doors. 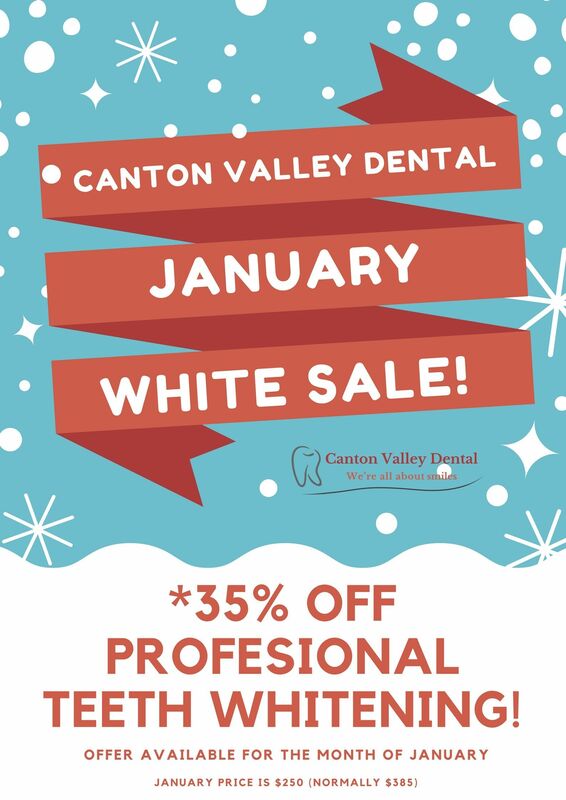 We've specially created this section of our site to share with you important news from our Canton family dental practice. 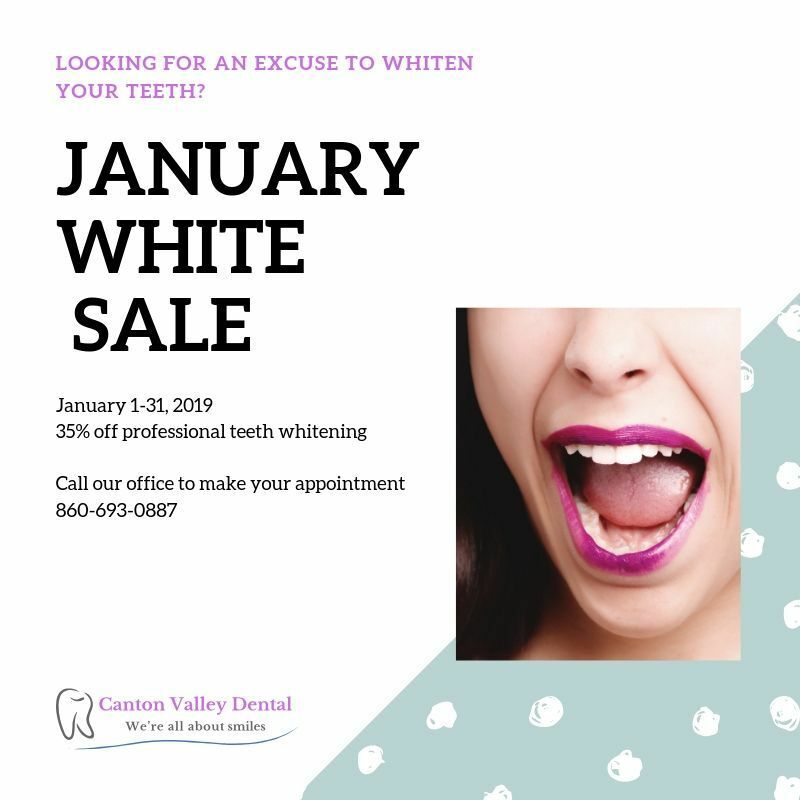 January White Sale is Back! Thank You to everyone that came to visit our table at this past weekends Lobster Loop. 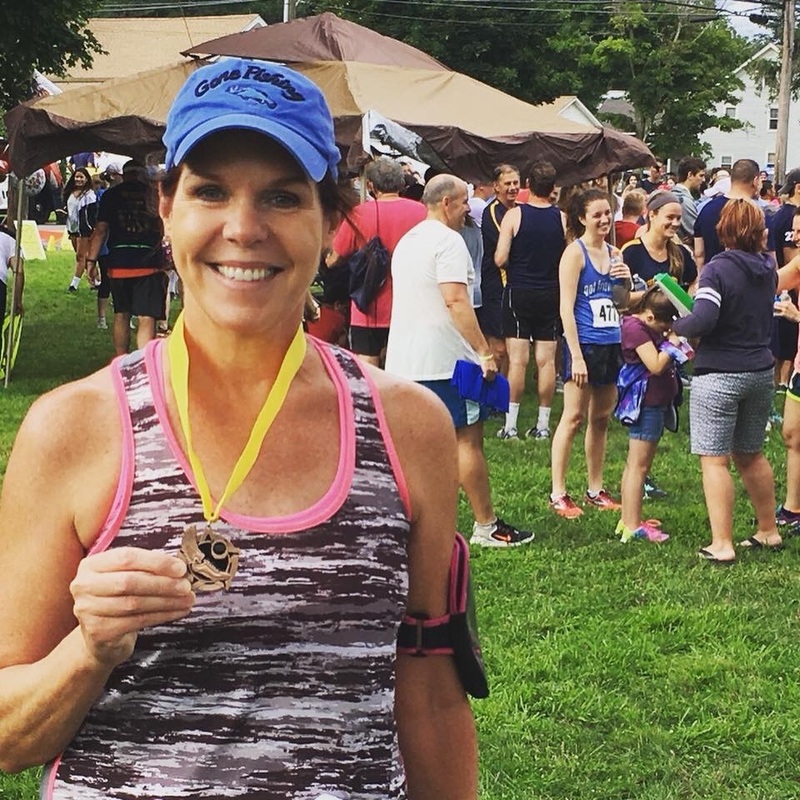 A special congrats to Kasey Charron for winning 1st place in her age bracket and also being the first female Canton Resident to win, and also to Dr. Tracey for winning 3rd place in her age bracket!! 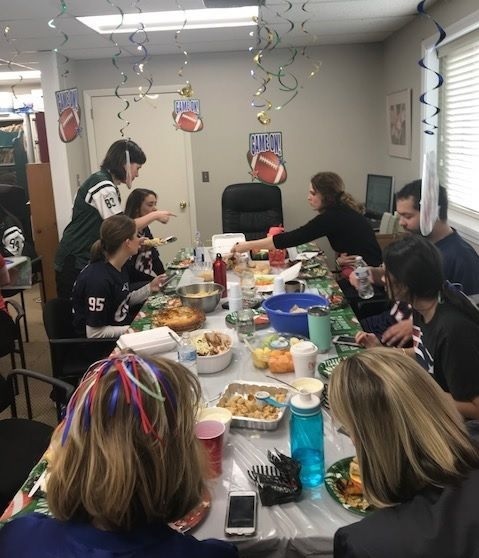 We loved seeing so many familiar faces! 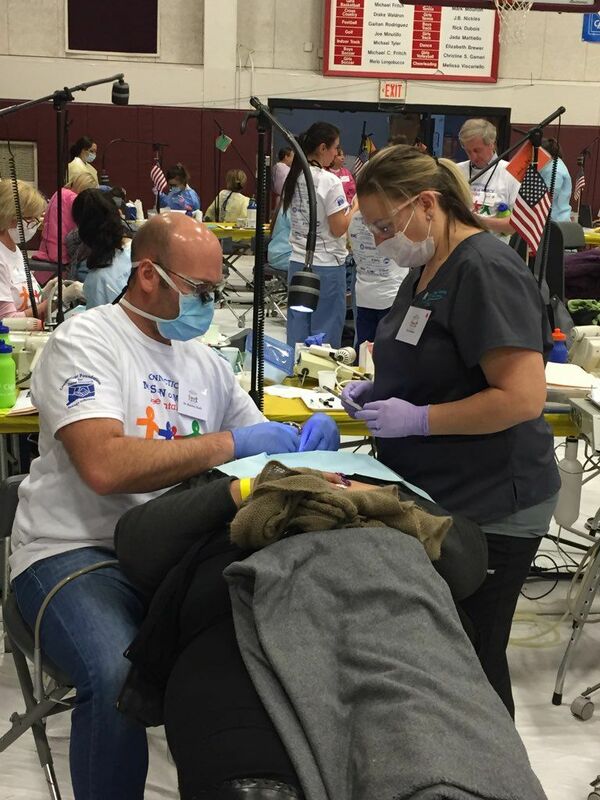 Thank you to Dr. Matt and Tina for volunteering your time at the Mission of Mercy on Friday at the Torrington High School. 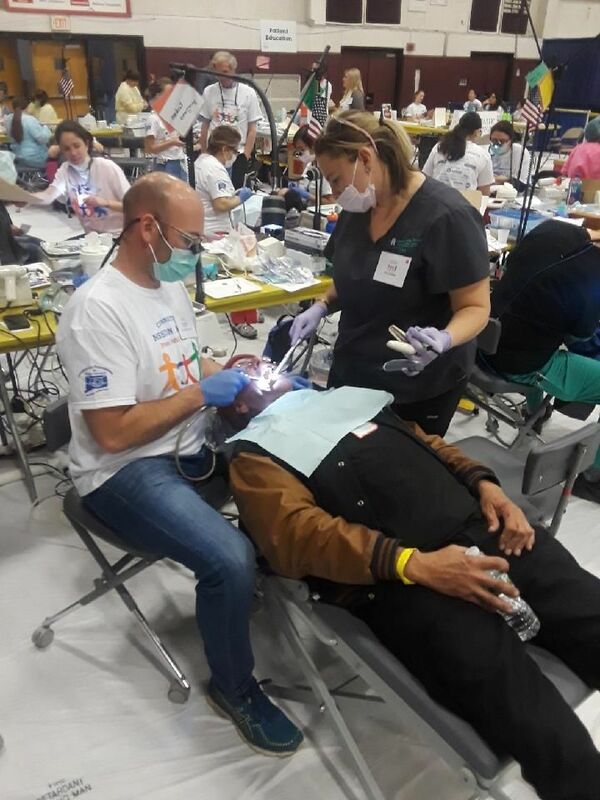 Connecticut Mission of Mercy (CTMOM) is a large-scale dental clinic providing free dental care to the undeserved and uninsured residents of Connecticut that would otherwise go without dental care. 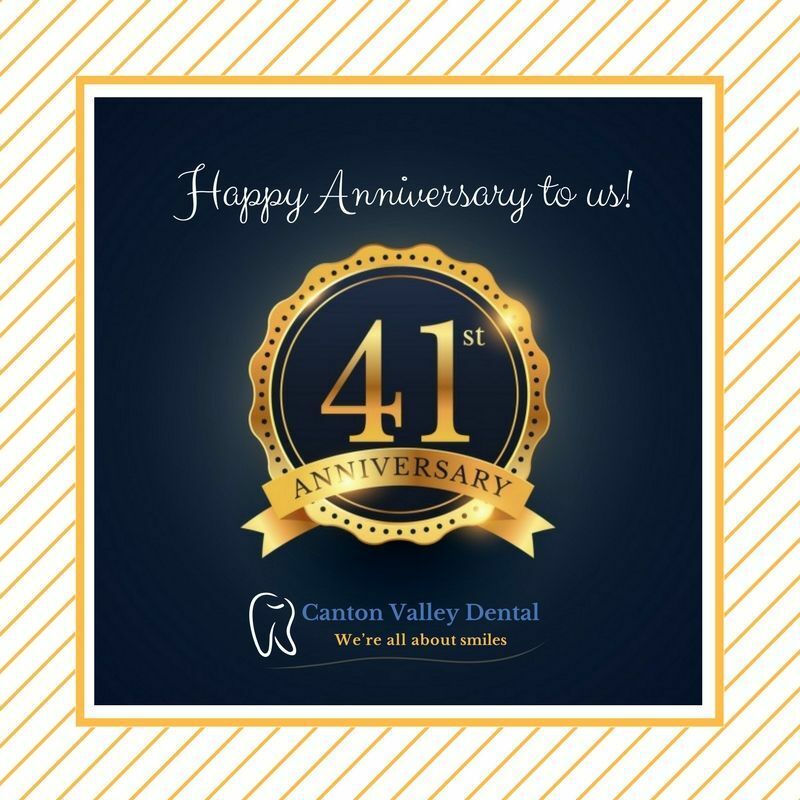 Thank you to all of our awesome patients for allowing us to serve you for 41 years. We look forward to many more years ahead! 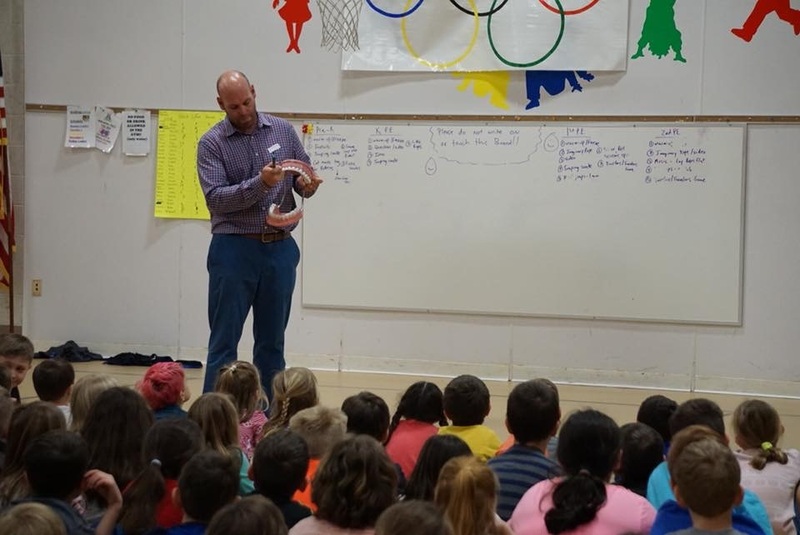 In honor of Children's Dental Health month, Dr. Matt and Tina visited Cherry Brook Primary School yesterday to help kids "brush up" on their dental knowledge. 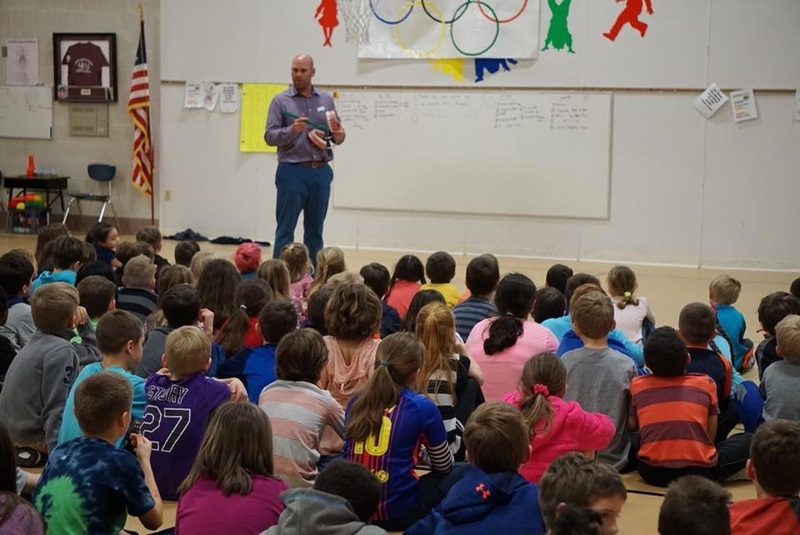 All grades K-3rd listened to the presentation about the importance of brushing for two minutes, flossing and visiting your dentist on a regular basis. 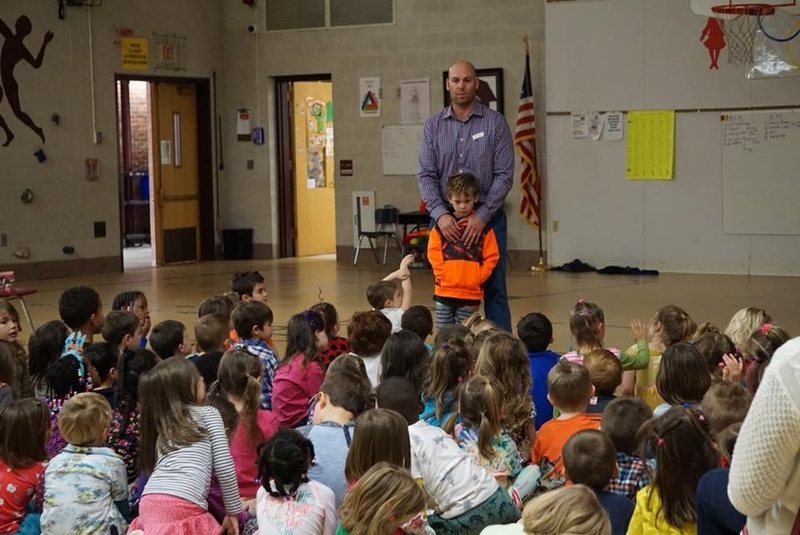 Each child went home with a new tooth brush, tooth paste, floss and a little toy. 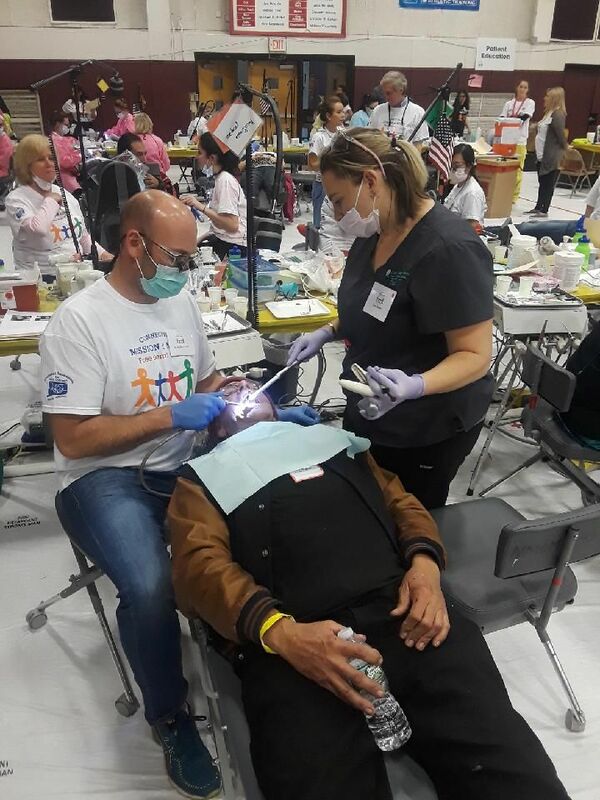 It's never too early to stress the importance of good dental habits! 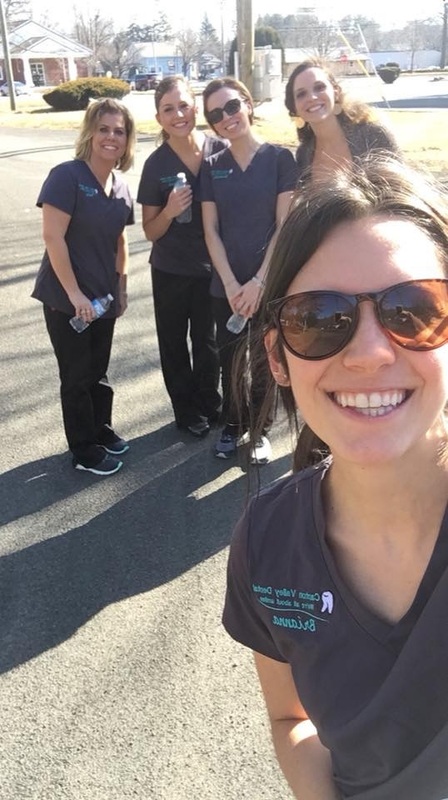 The staff celebrated the hottest day recorded in history for the month of February in CT at 74 degrees by enjoying a nice lunch time walk around the neighborhood. 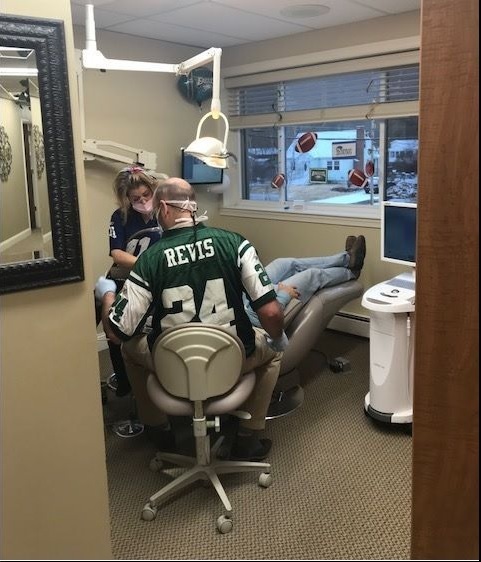 This past Thursday marked our 6th Annual Canton Valley Dental Jersey Day. 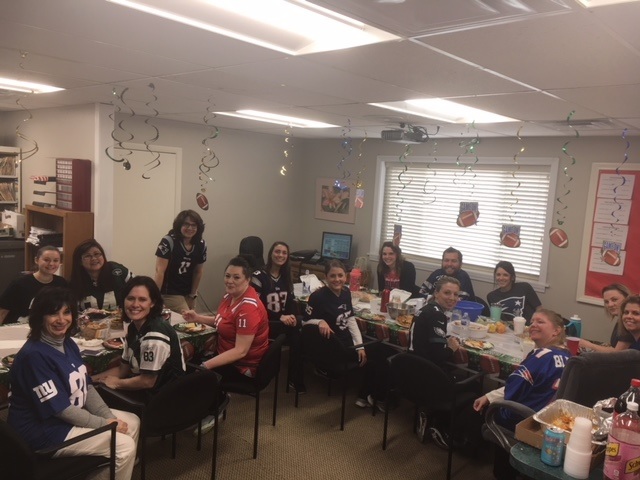 Every year on the Thursday before the Super Bowl the staff participate in Jersey Day. 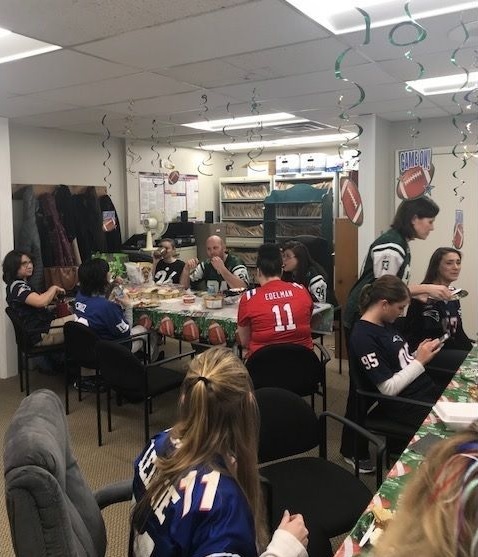 Each of the staff members wears a jersey of their favorite team to work; and for those who do not have a jersey, Dr. Matt makes sure to supply jerseys of his favorite team the Jets! 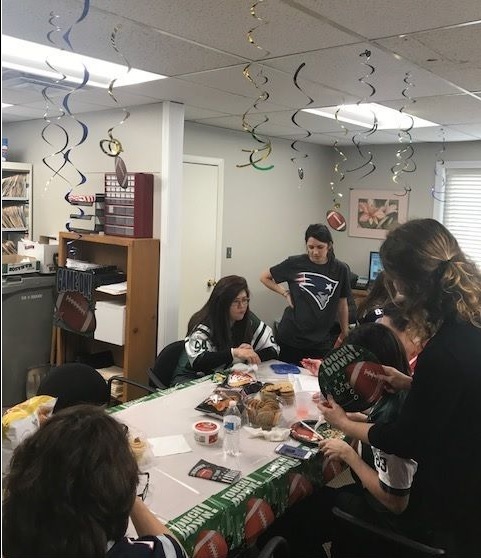 The office gets decorated with the colors and logos of the team's in the Super Bowl and we throw a party during lunch to celebrate. 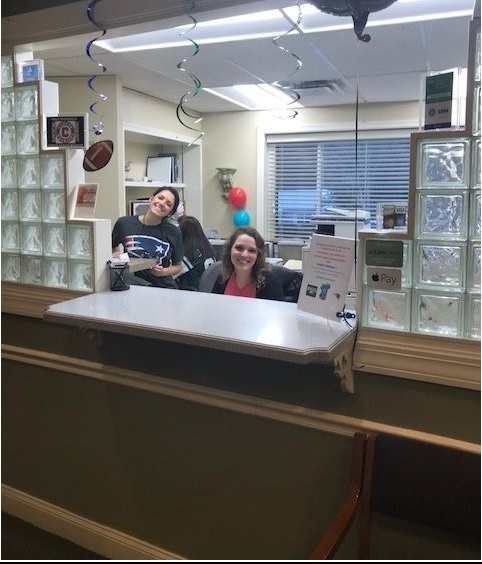 We are proud to be celebrating one year of our newest technology and ability to offer our patient’s same-day crowns. For those who are not familiar with our CEREC same-day crowns, the procedure and preparation of the tooth is virtually the same. 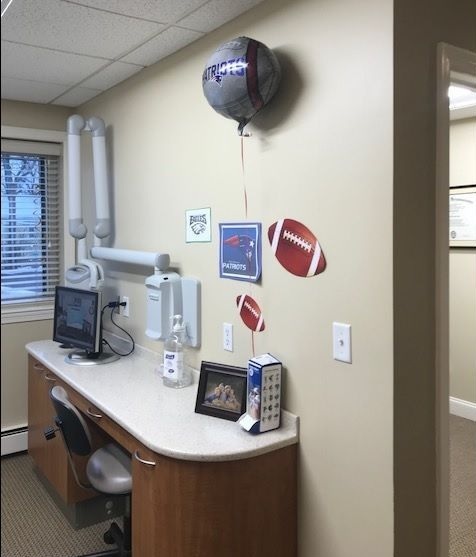 However instead of an impression (mold) taken and sent out to a lab to construct a model and crown, we use our CEREC® equipment to take a digital 3D scan of your teeth. 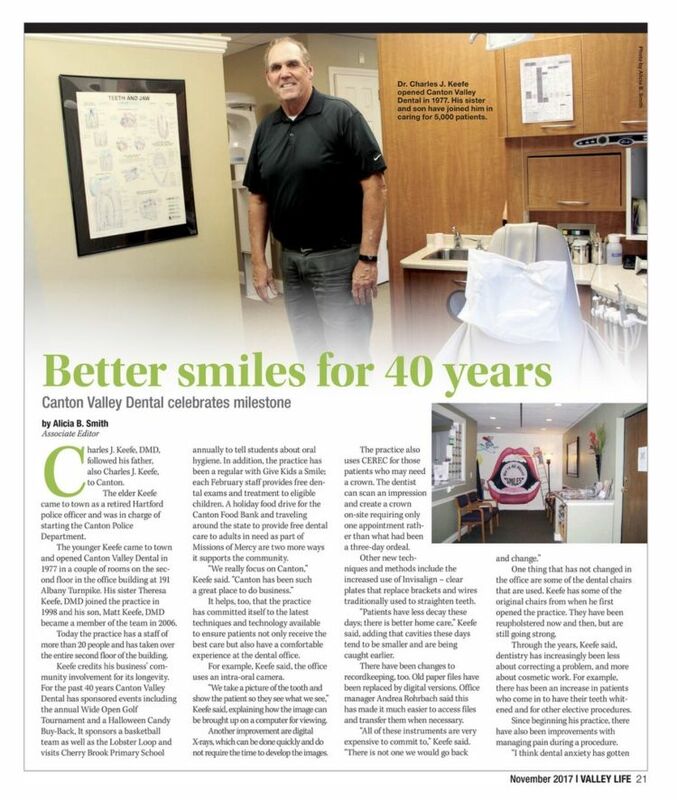 Using the CEREC® software a crown is designed and “milled” in our office while you wait. These crowns are beautiful, precise and durable and there is no longer a ne​ed for a temporary crown and return appointment. 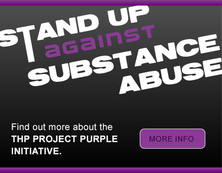 The entire process is completed in ONE visit. 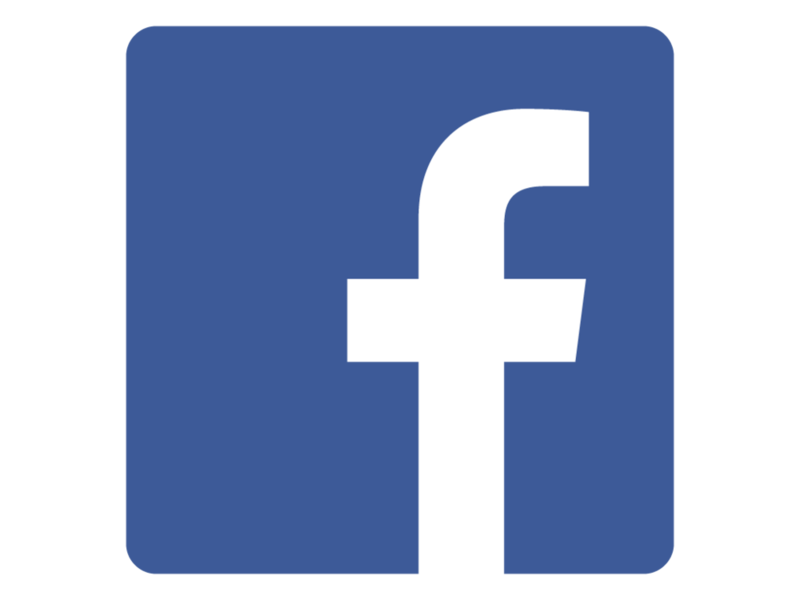 We have had great success and look forward to our ever expanding abilities with this new techonology. 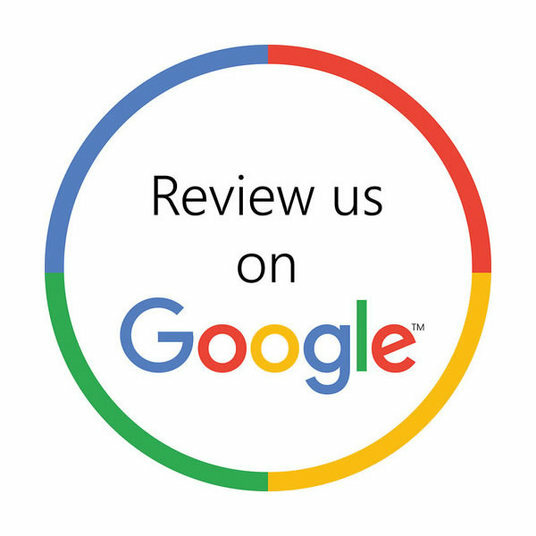 Be sure to ask about Same-Day Crowns the next time you are in our office. 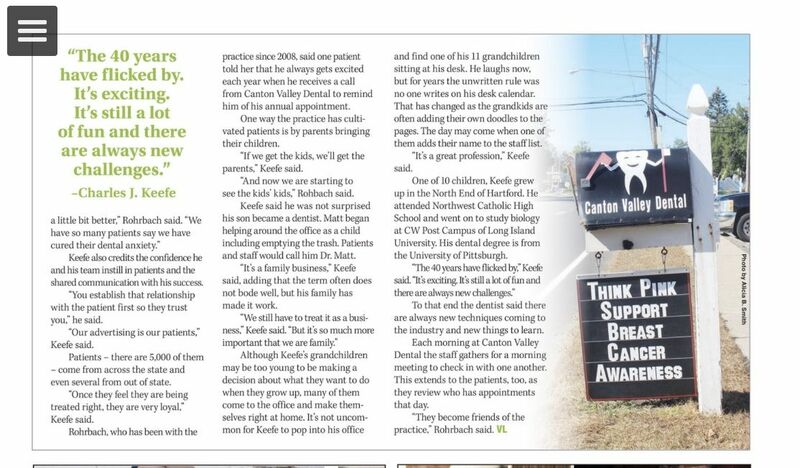 Valley Life Article for 40 years!